Positive displacement rotary gear pumps, Gear type: external. Additional Pump models available from .5 GPM to 168 GPM. 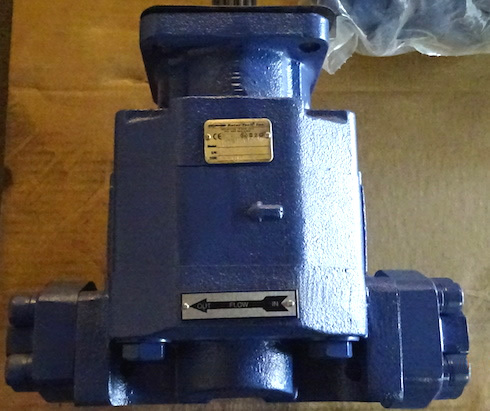 ATEX and NEMA certified Motors are available. Rotor-Tech specialized electric-drive pumps are designed for use with glycol (TEG) natural gas dehydrators. Also available for transfer, metering and process application of other liquids. Explosion-proof (EXPR), totally enclosed fan cooled (TEFC), etc. Variable or constant – with models available to pump 10 – 10,000 GPH. High efficiency throughout pump operating life. No dependency on elastomeric parts subject to wear and deterioration. No slides, pistons, check valves or O-rings to be replaced.